Hi Beauty Friends! Do you ever wonder if there is an easy way of applying your liquid eyeliner? Especially a cat eye look without looking like one side is higher than the other? Well I have an easy way of doing that! Read my blog and watch my video on how to apply a liquid eyeliner cat eye style. My video was kind of cut short so I have no closing to it, but I hope you enjoy it! I am going to be posting more on how to apply and the easy techniques you can use with different eyeliner products and tools. Please enjoy the video and make sure to subscribe! 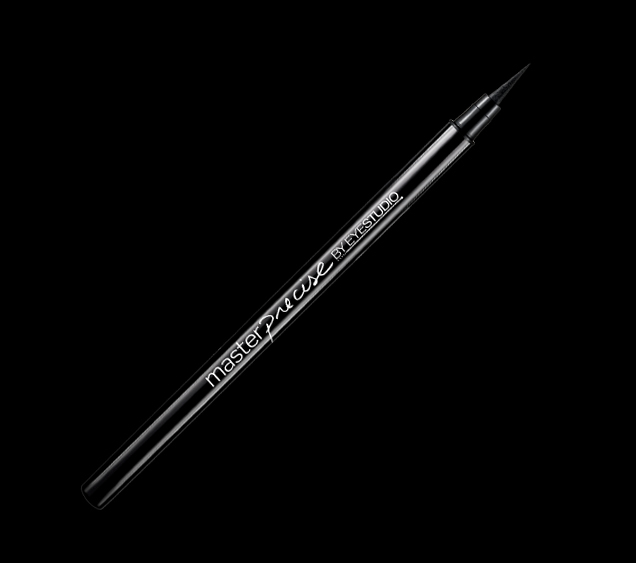 What you will need for this cat eye look is a felted pen liquid eyeliner, such as the Maybelline Eyestudio Master Precise liquid eyeliner pen in black. The exclusive felt tip is ultra thin, 0.4mm, which will deliver a smooth even line. It never dries or skips, which means you will not get weird ridge gap when applying it. Or any black felted liquid eyeliner pen works. This technique is basically connecting the dots! It is so easy! my cat eye look with a liquid eyeliner. Step 1 - Draw a dot on both eyes where you would like your cat eye to extend to, this will create an even look for both eyes. Tip: Make sure your head is tilted up, but your eyes are looking down, and if it helps; take one finger and pull your lid up to stretch your eye for smoother application. Step 2 - Draw a line from the dot you just drew to the outer corner of your eye. Step 3 - Draw another line from the dot to the middle of your upper lash line, you just connected the dots! Step 4 - Fill in the little side triangle you created. Step 5 - Tilt your eyeliner side ways so the felt tip is aligned or parallel to your lash line and press it on your lash line working your way towards the inner corner of your eye. Step 6 - This is the last step for your cat eye look! keep your head tilted up and your eyes looking down, with the felt tip aligned with your lash line and start pressing it below your lash line. This creates what is called a tight line. Tight line: is applied below the upper lash line to create a thicker look with the lashes, creates cleaner look without looking like there are little holes in your eyeliner. courtesy of www.maybelline.com, available for $6.99 - $10.99 depending where you shop. courtesy of www.maybelline.com, this is the add Maybelline use for the Master Precise liquid eyeliner pen. If you are wondering which lipstick I am wearing, it is one of my old favorite lip product from Clinique - the Almost Lipstick in black honey. 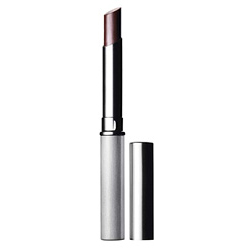 It is a dark sheer lipstick, it's so pretty for summer! courtesy of www.clinique.com, Almost Lipstick in black honey. Please enjoy and thank you so much for reading! Subcribe to my beauty blog here and my Youtube channel! Save me as a friend on www.facebook.com/marinamoua, and www.twitter.com/marinamoua and www.marinam.tumblr.com!